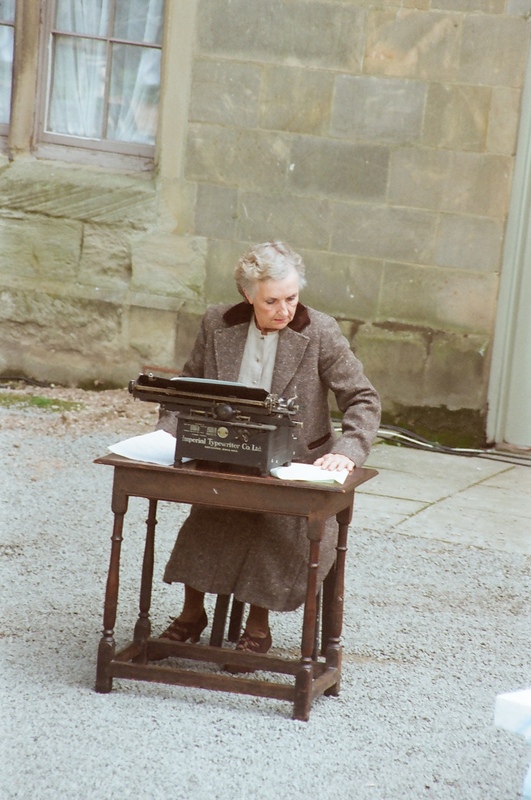 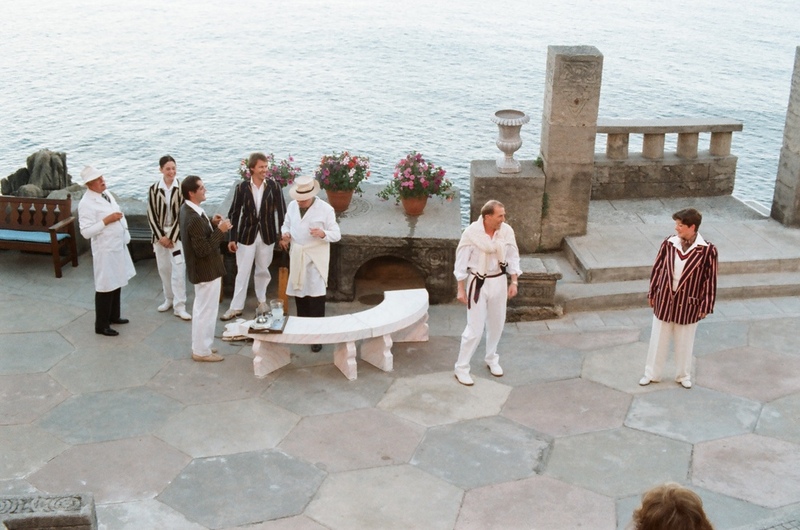 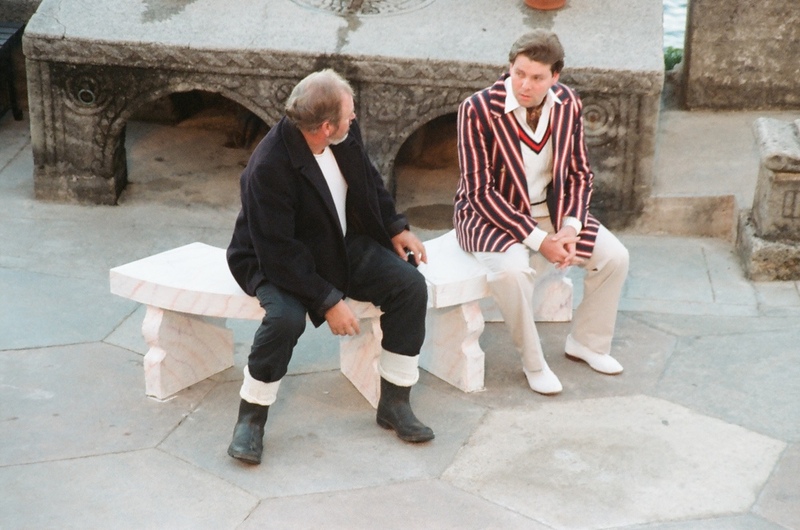 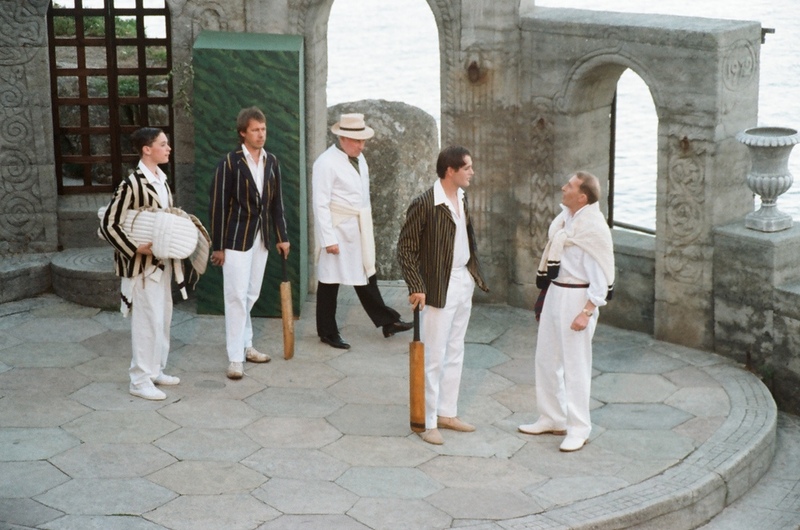 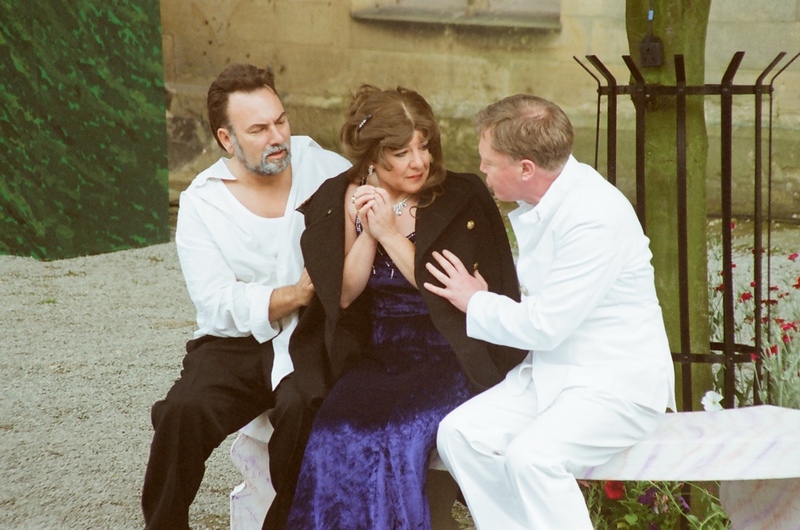 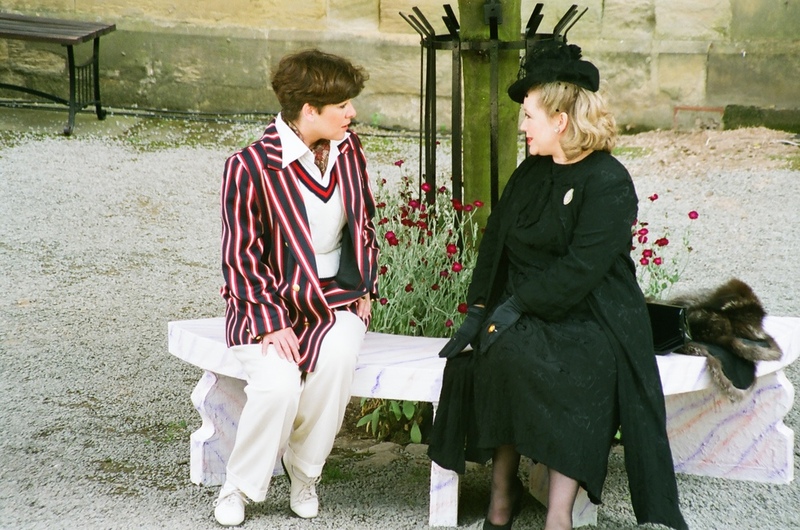 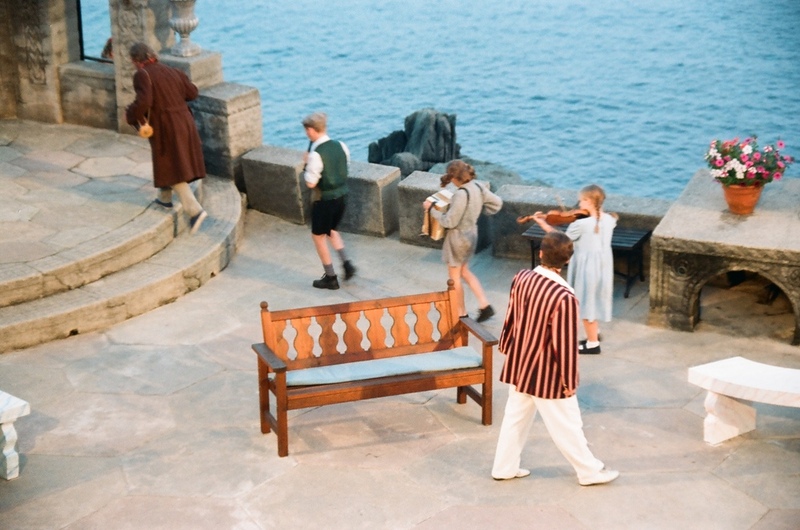 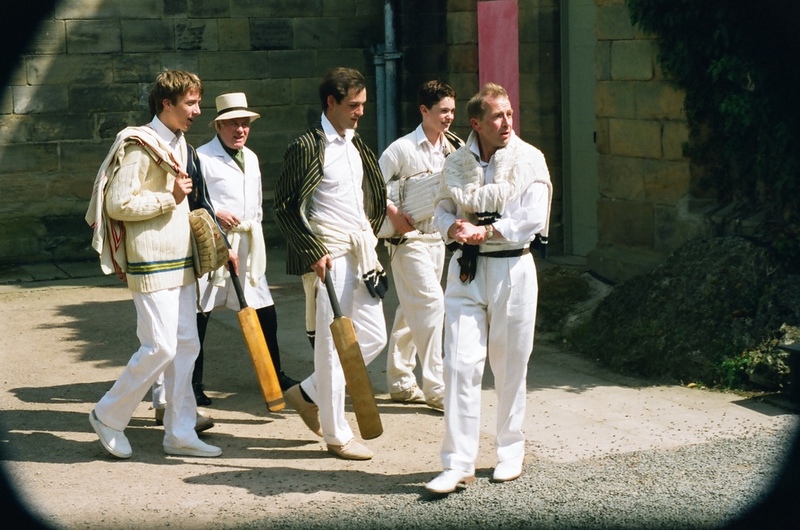 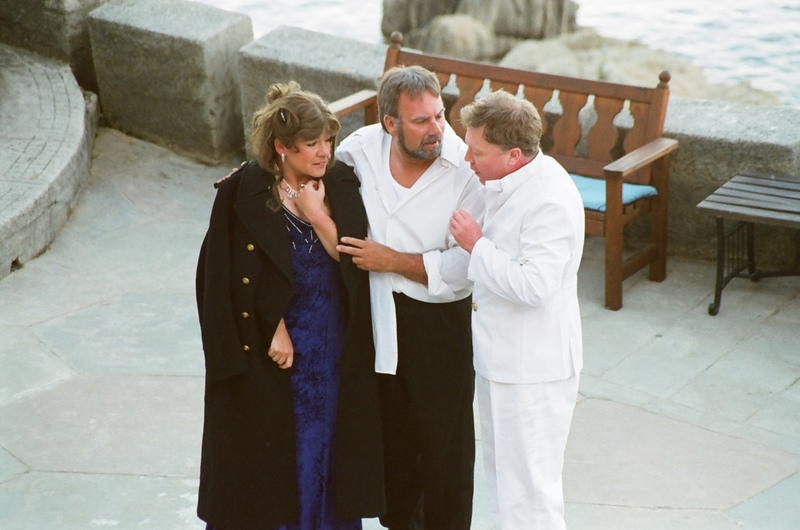 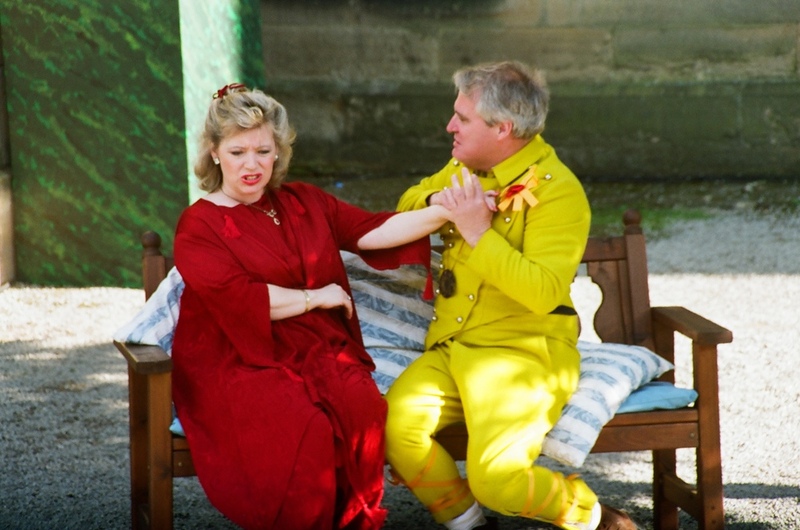 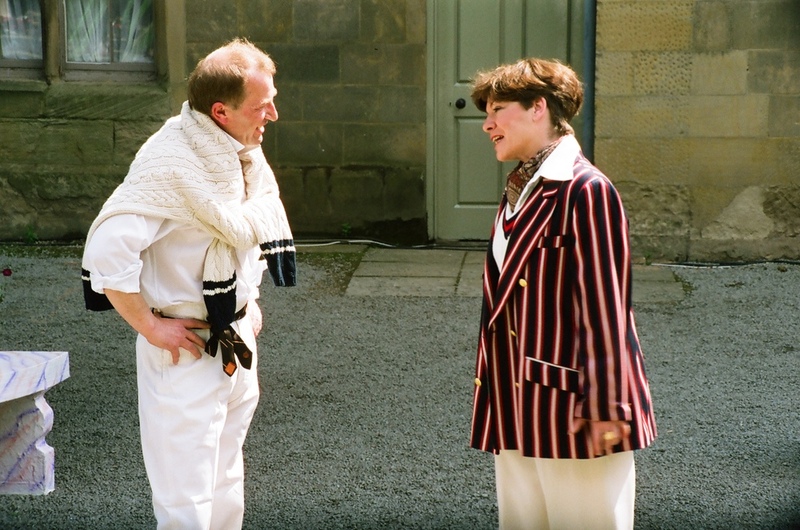 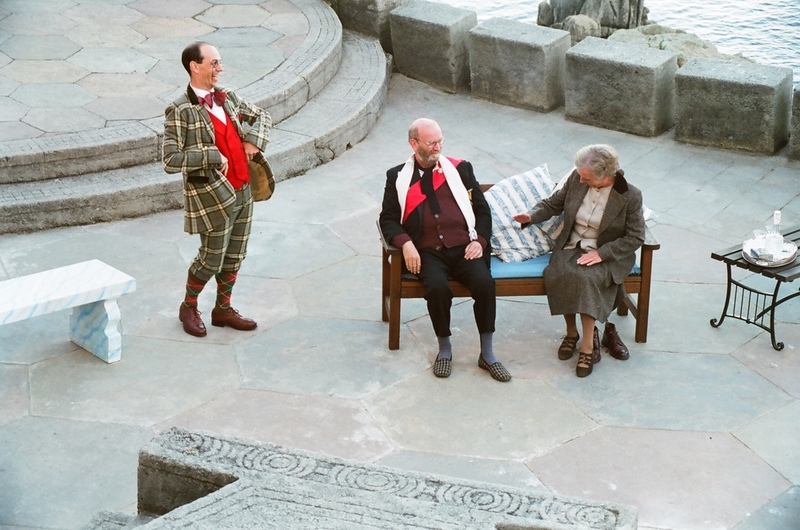 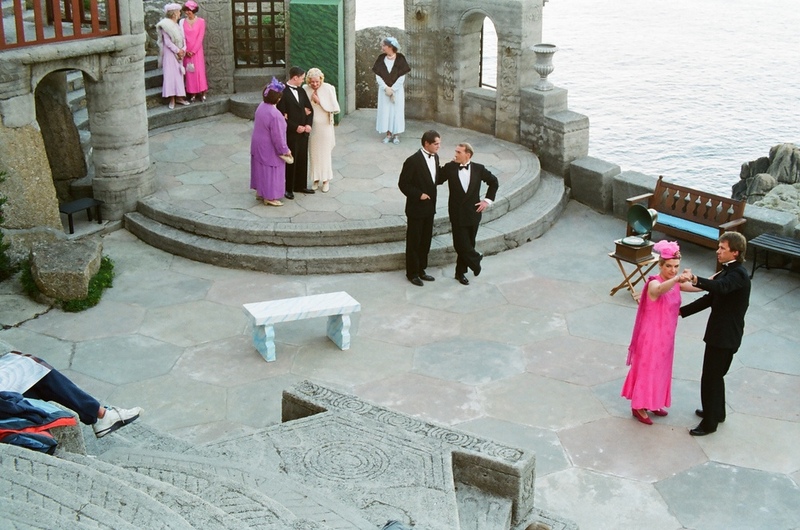 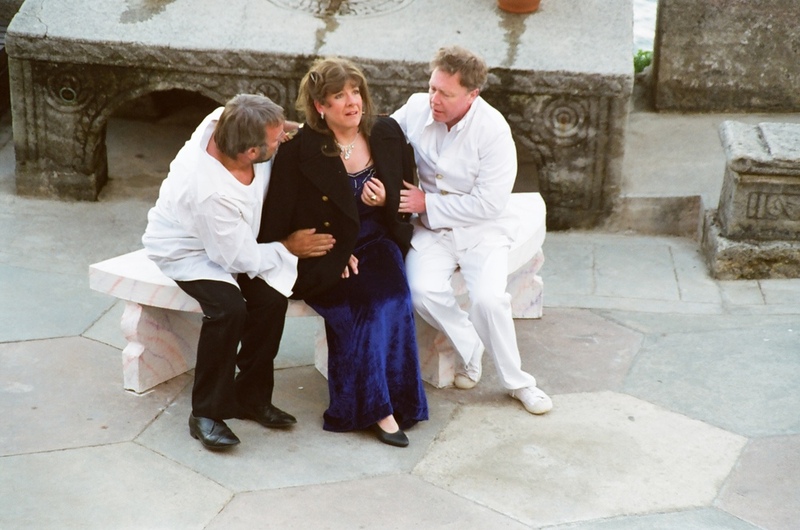 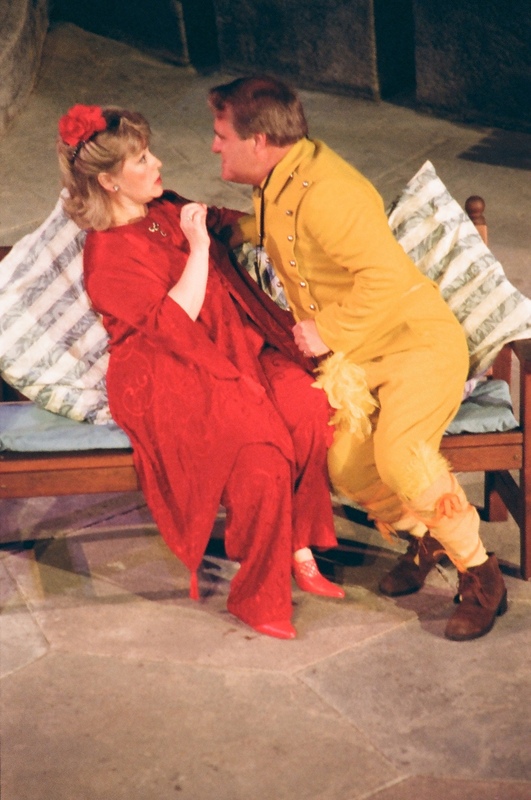 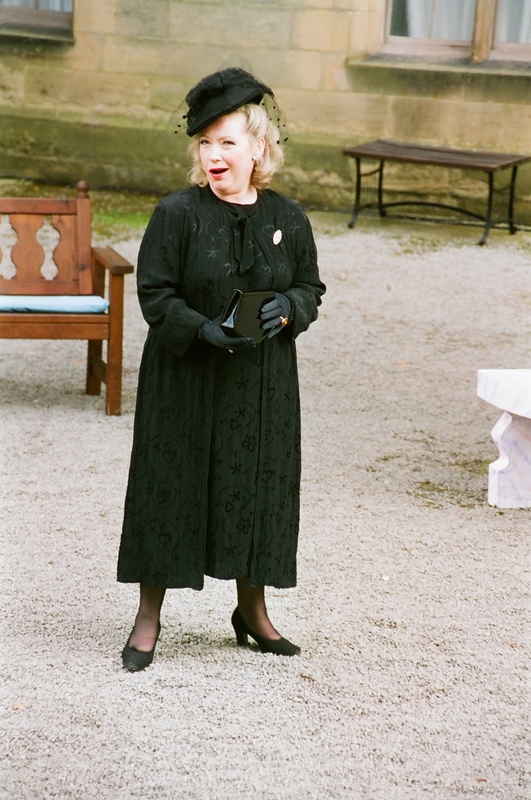 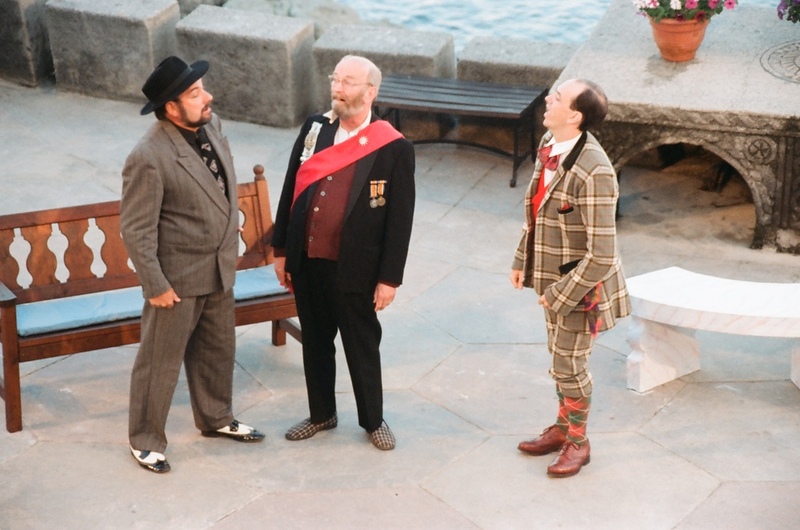 In the summer of 1997 we returned to both the grounds of Elvaston Castle in Derbyshire and the Minack Theatre in Cornwall, two of the most beautiful and welcoming venues we've been fortunate enough to perform at over the years. 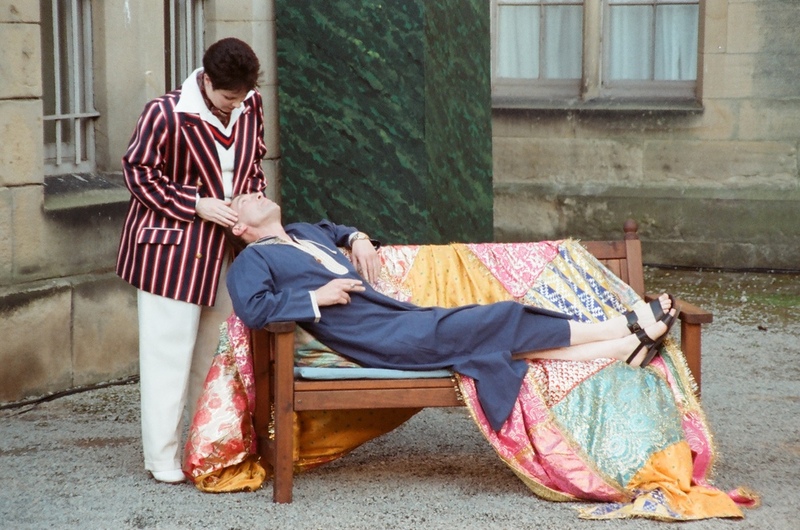 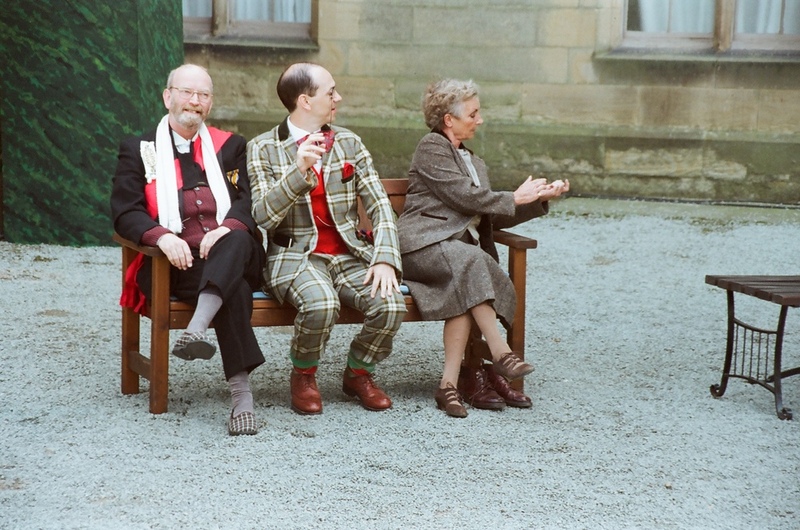 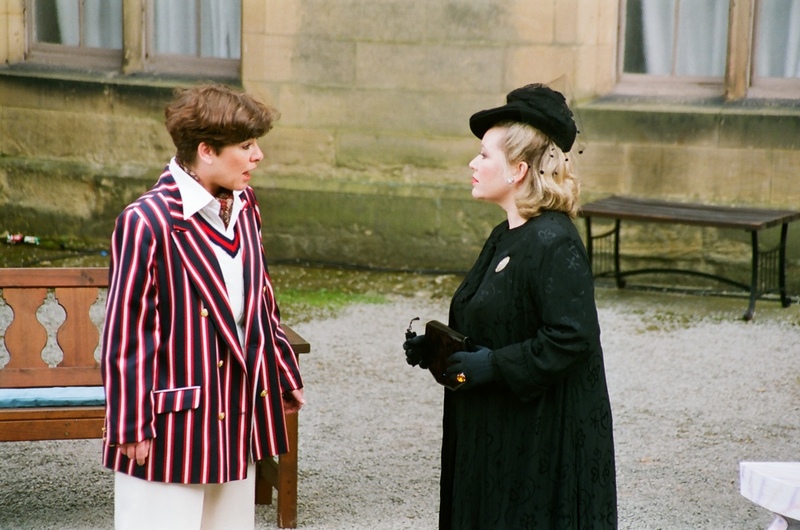 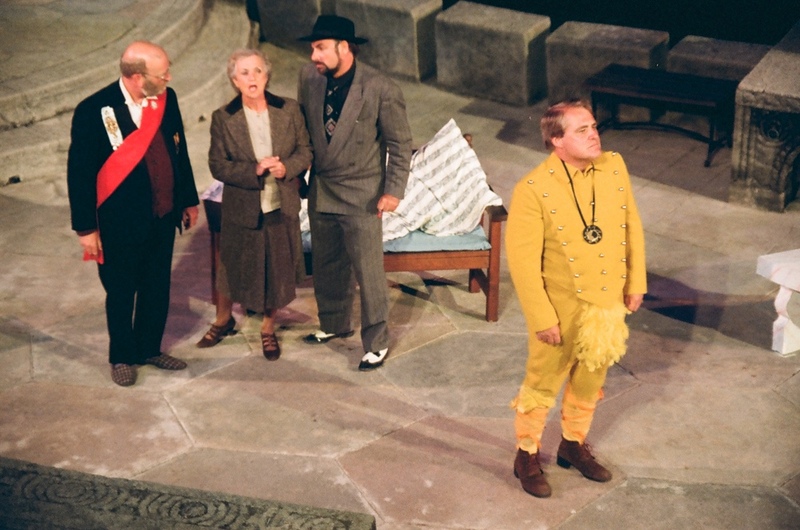 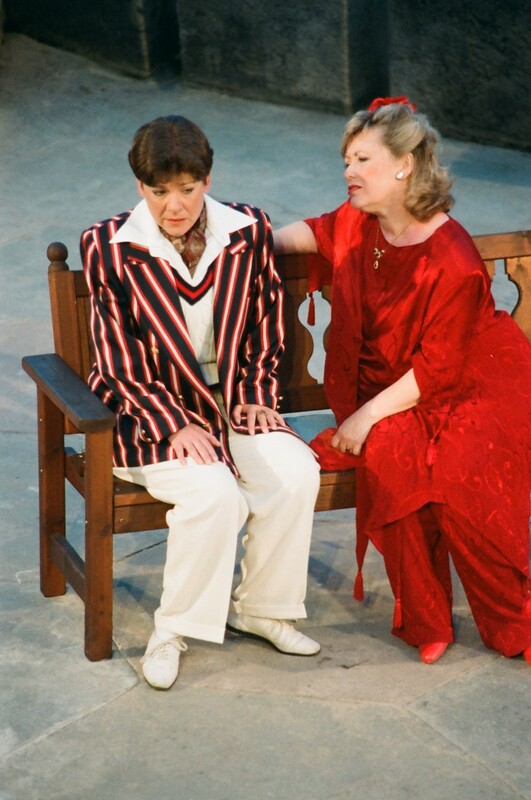 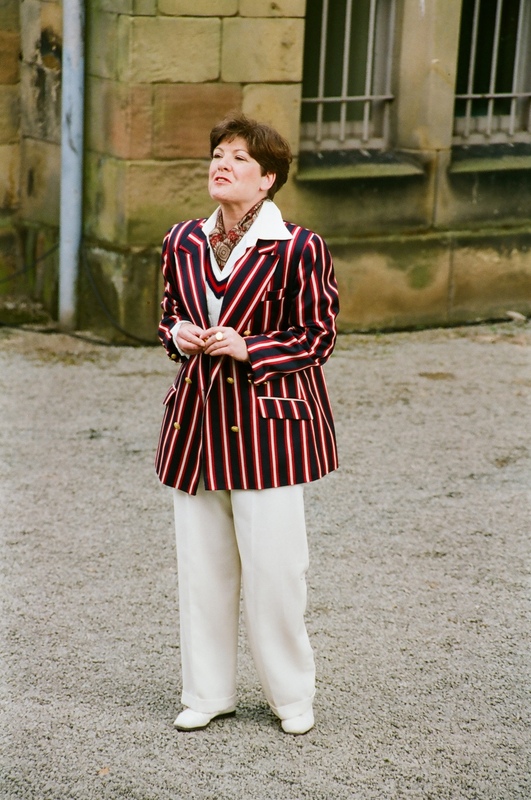 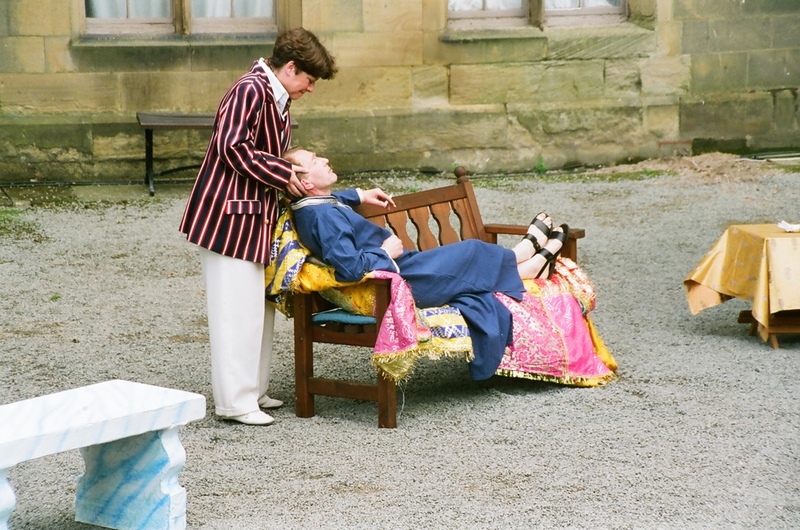 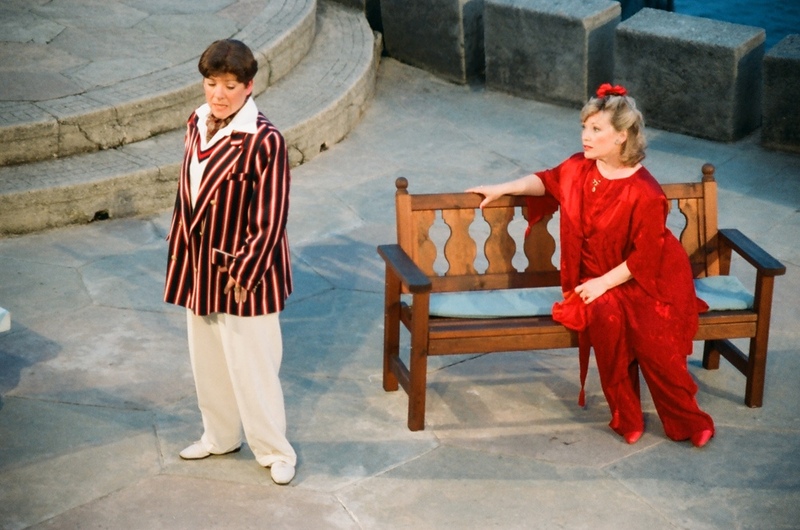 Jenny Billington Earl's production of Shakespeare's classic gender-swapping comedy 'Twelfth Night' was terrific fun and it's zippy 1930s style was a perfect fit for both venues, proving a hit with the homegrown audience and holidaymakers alike. 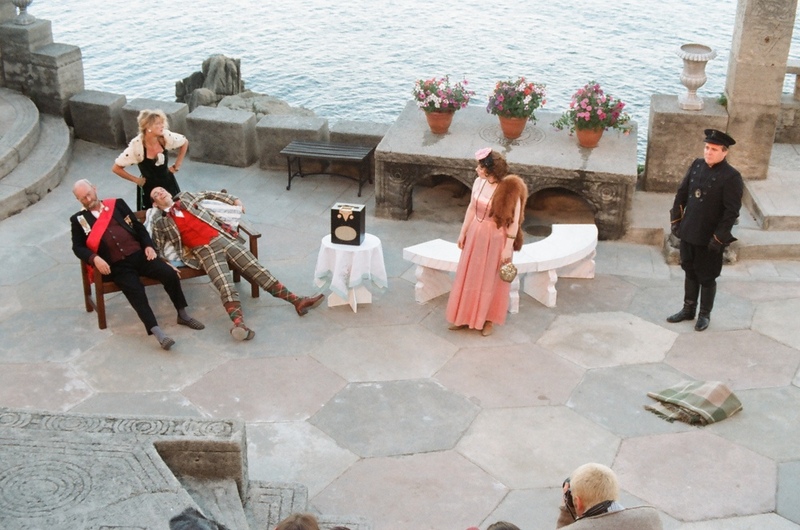 With lively music. 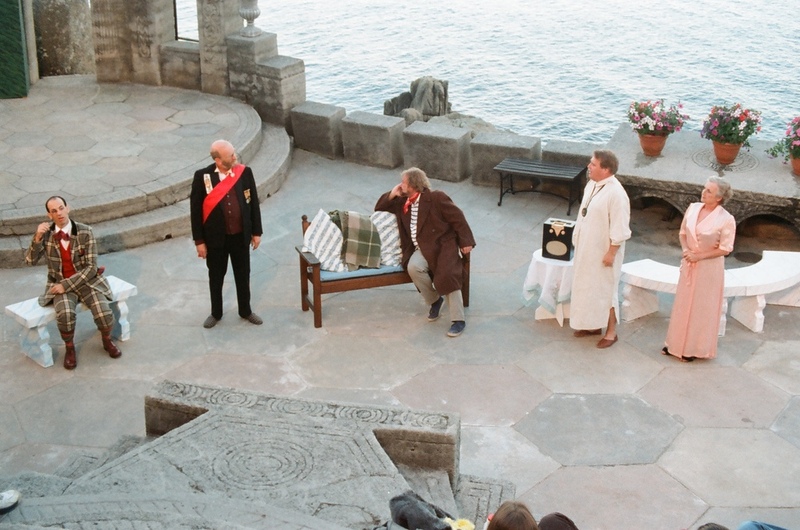 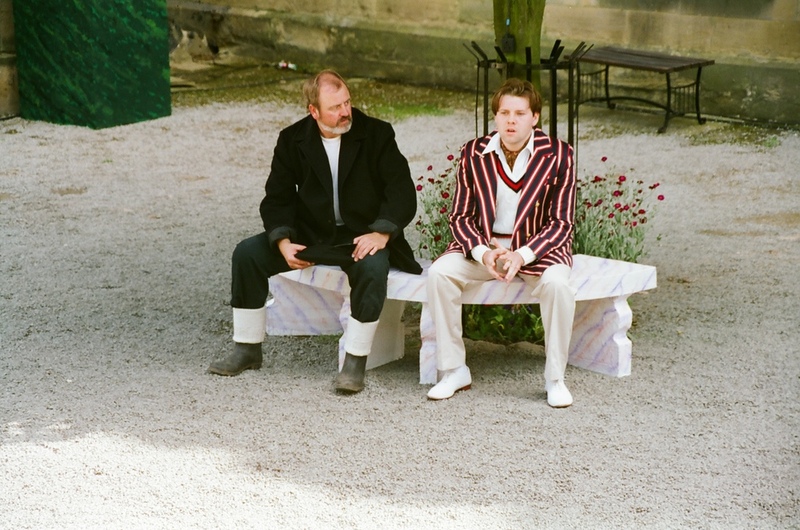 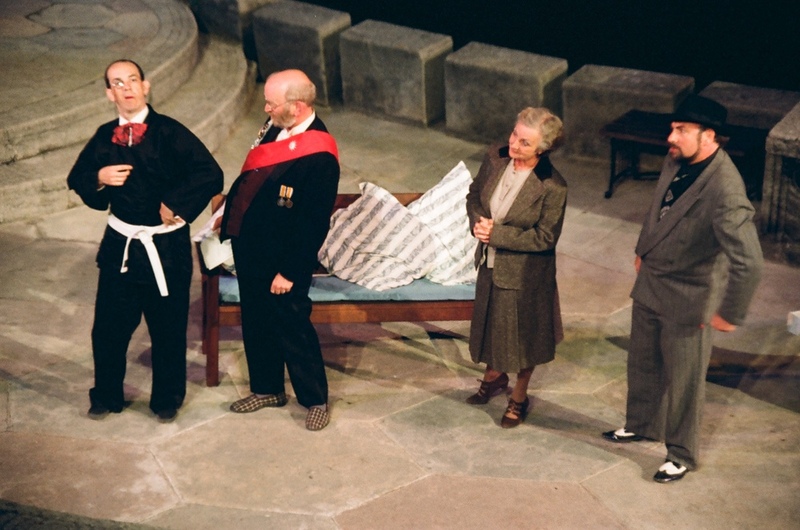 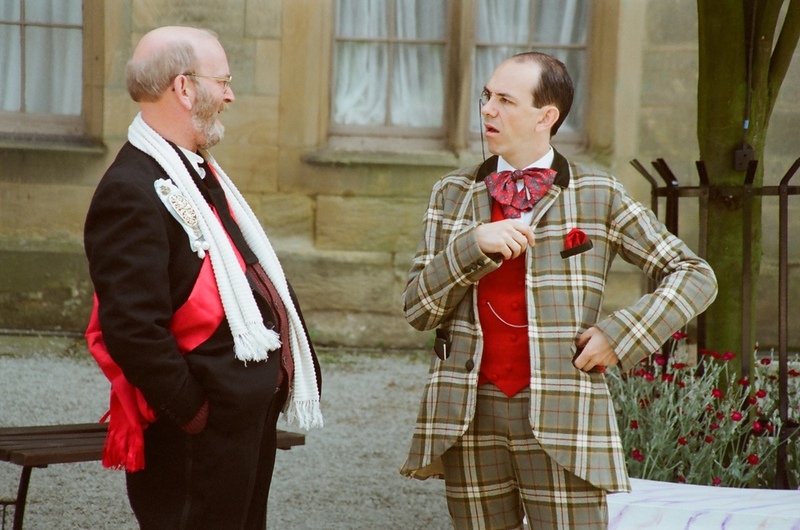 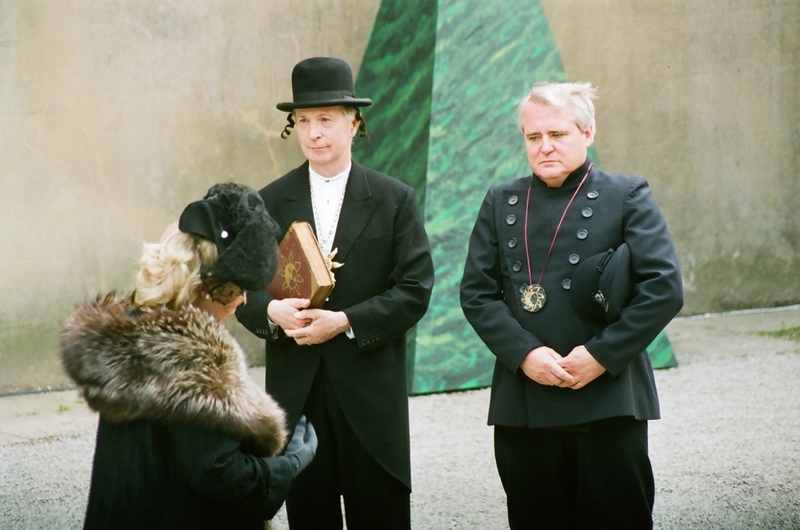 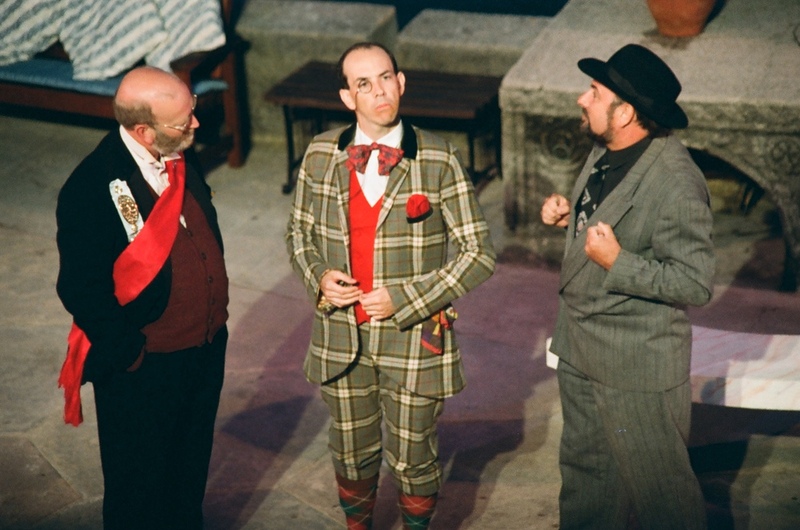 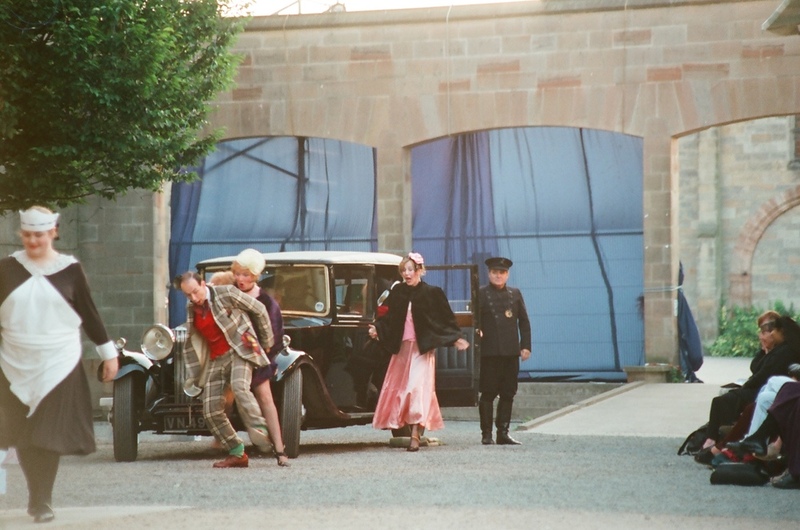 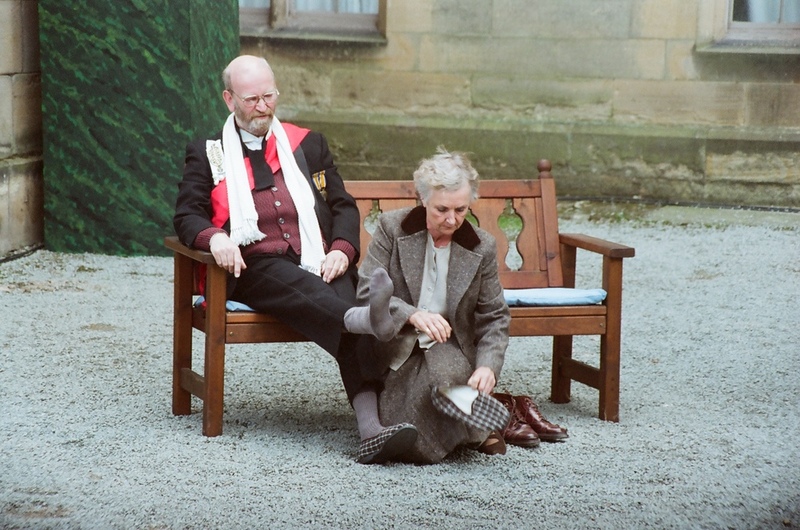 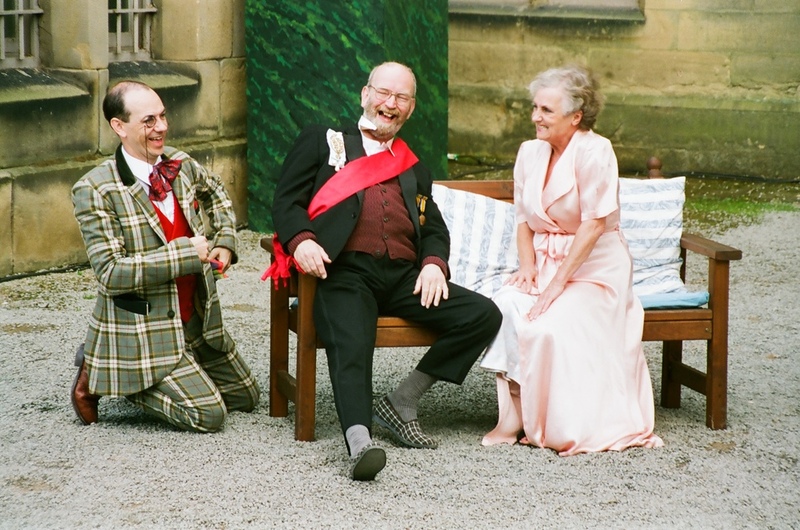 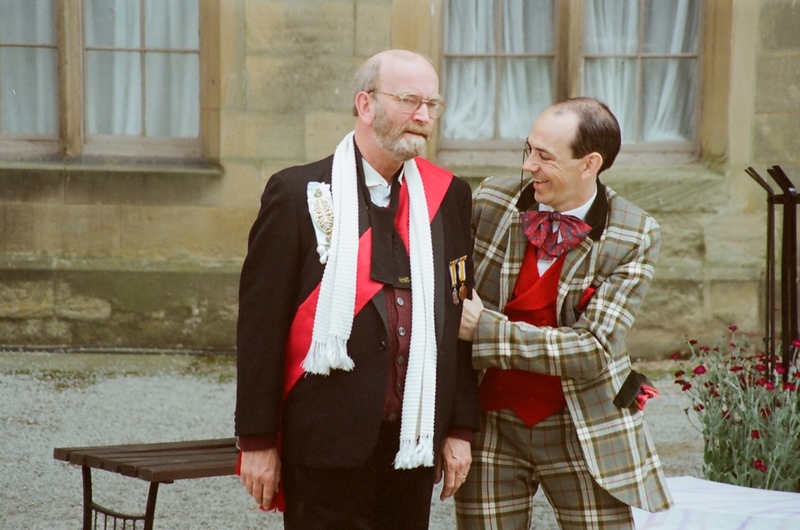 hilarious performances and a dashing Rolls Royce car for Sir Andrew Aguecheek and Sir Toby Belch this was a charmer of a show and great fun for all audiences.